We are already into the autumn season, can you believe it??! I have started some home decor with my September kit from Scrappy Chic. I was inspired by the Berry71bleu October challenge which is a mood board. Don't you just love autumn colors?!! I created this pumpkin to decorate my table. 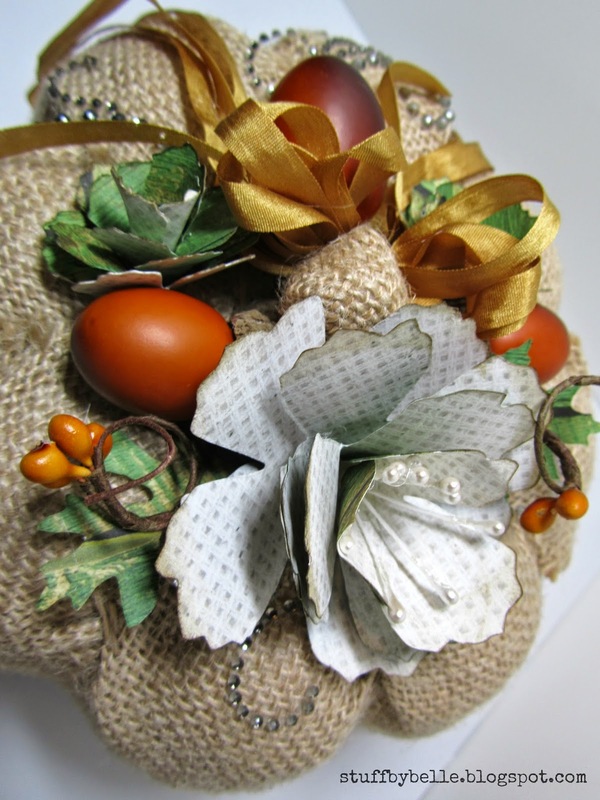 The flowers are made from Kaisercraft Basecoat Christmas and the Tattered Floral Tim Holtz die. May Arts silk ribbon, Zva Creative crystals and some acorns and garland from my stash. I used Distress Ink on the edges of the flowers and some floral stamen. I hope to see you autumn creating linked up, you have until the end of the month!! 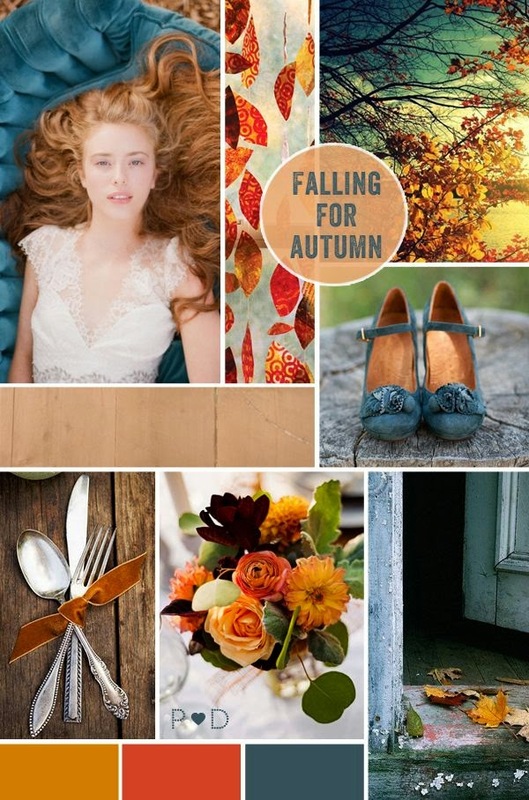 Gorgeous autumn project! Thank you so much for joining us at Berry71bleu! Wonderful fall creation! Beautiful work and thank you for playing along with us at Berry71Bleu! 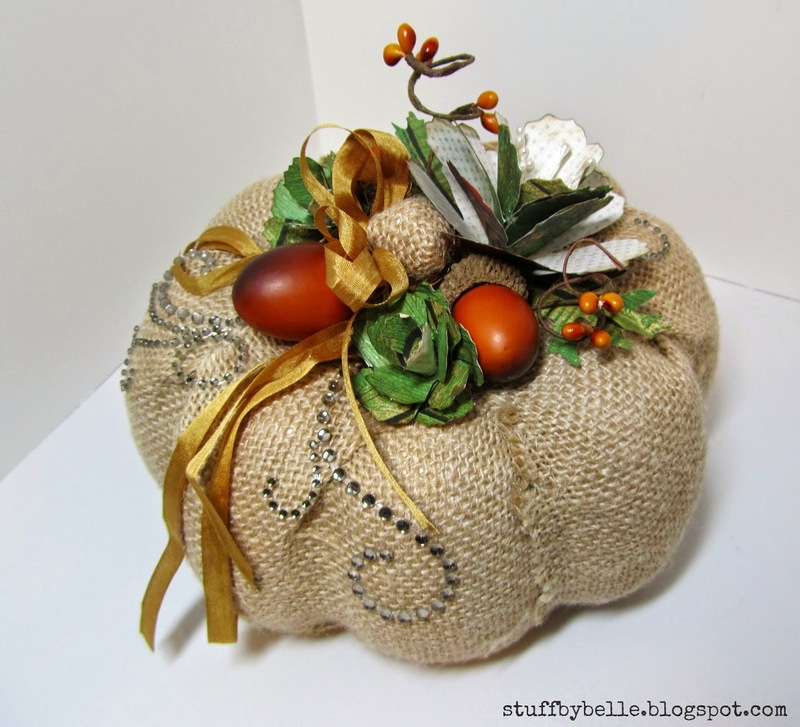 The burlap makes the pumpkin seem so warm and cozy! Beautiful job embellishing it! Wow!!! Stunning project! I love it!